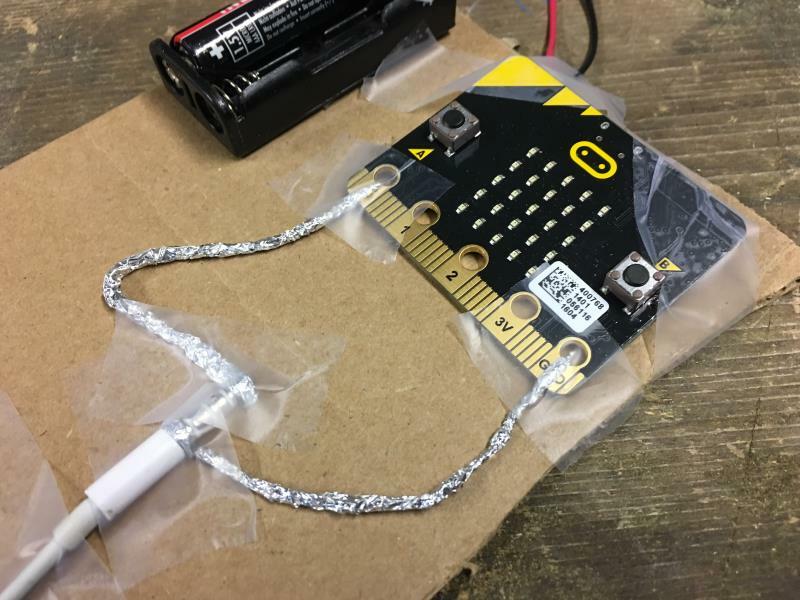 The large holes at the bottom of the board are designed to attach alligator/crocodile clips to create electrical circuit with other components. If you do not have crocodile clips at hand, you can use wires or even Aluminium foil to achieve the same result. 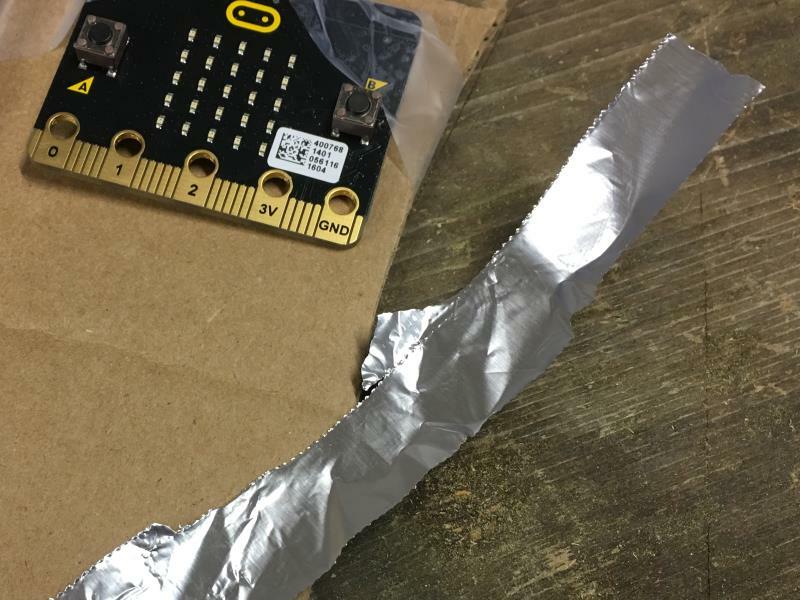 We will show you how to connect the micro:bit to headphones using Aluminium foil and tape. 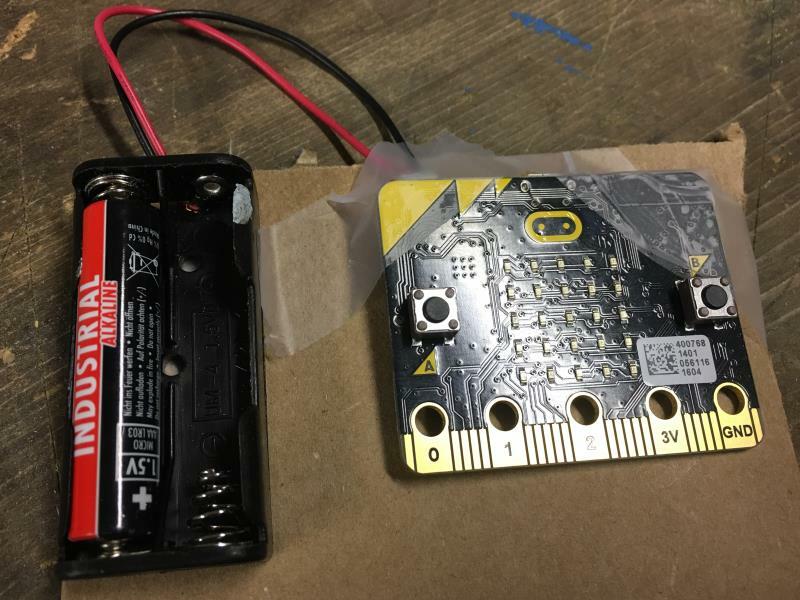 Tape the micro:bit and battery pack to the card board. Make sure to remove the batteries while you are building your circuit. 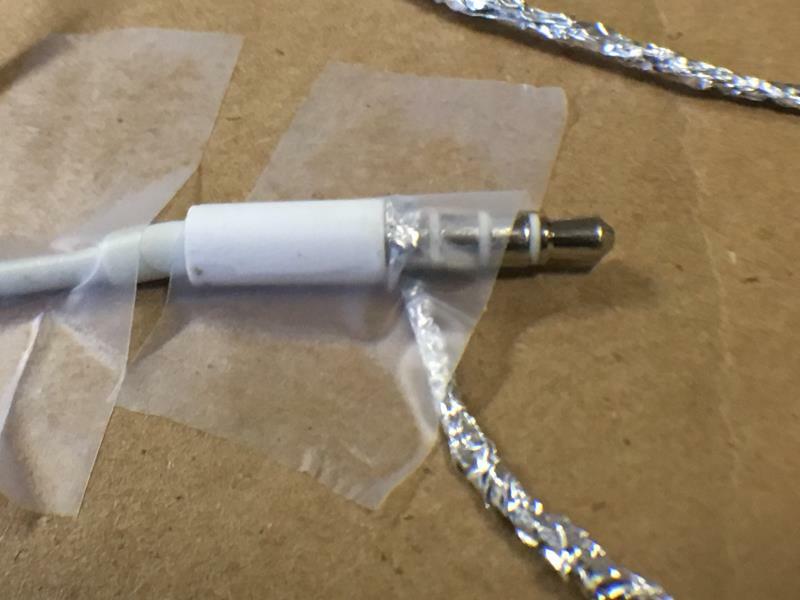 Cut the thinnest strip of foil possible and roll it into a cable. You can also try to fold, whatever works for you. Build two of those wires. 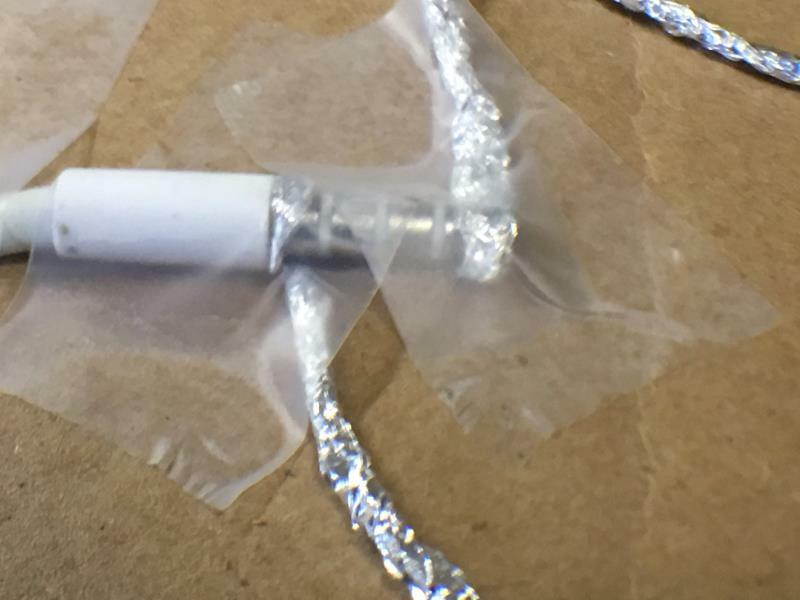 Place the foil wire on the GND pin and attach with a piece of tape. Press hard to get the best connection between the foil and the pin board. 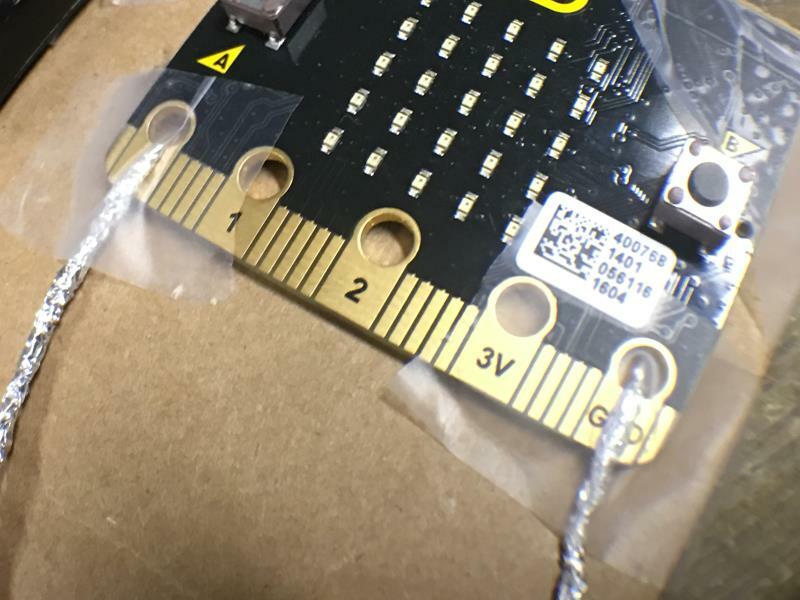 Make sure the foil is not overlapping with the other pins! Place the second wire on the P0 pin the same way. Make sure the wire does not overlap with the other pins! 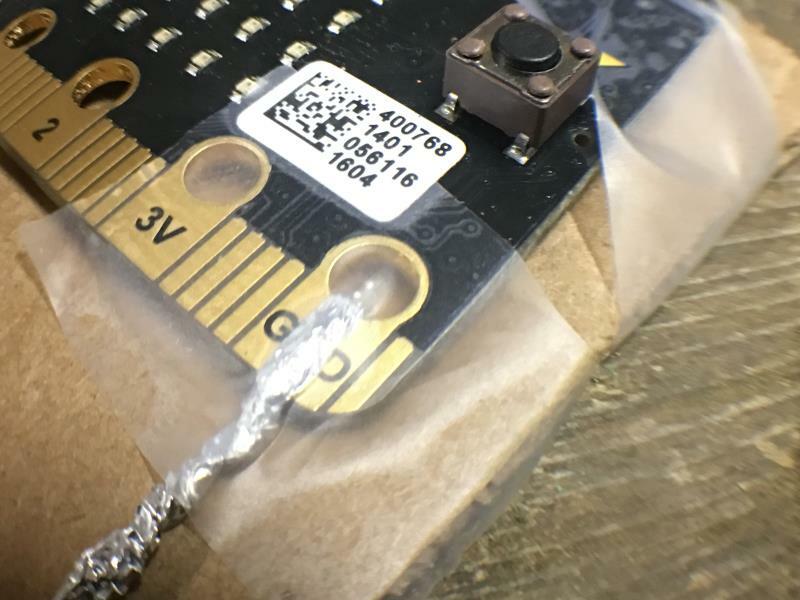 Tape the headphone jack connector to the cardboard and roll the wire coming from GND around the metal base. Make sure the wire does not touch the other metal rings on the jack. Tape the second wire on the head of the jack connector.